Authentique Paper & Leaky Shed Studio = A Perfect Pair! Authentique Paper and Leaky Shed Studio are teaming up over the next couple of days to bring you tons of Christmas/Winter themed inspiration using Authentique Paper and Leaky Shed Studio products! 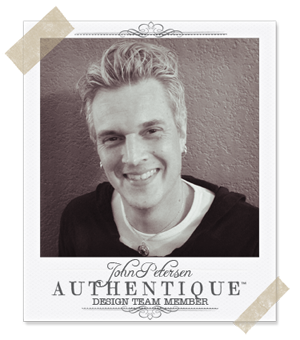 After you check out the projects here on the Authentique Paper blog, be sure to head on over to the Leaky Shed Studio blog to find out what the talented members of their Design Team have in store for you today! Hello once again fellow Authentique fans! Kay here with my project consisting of both Authentique & Leaky Shed Studio products. 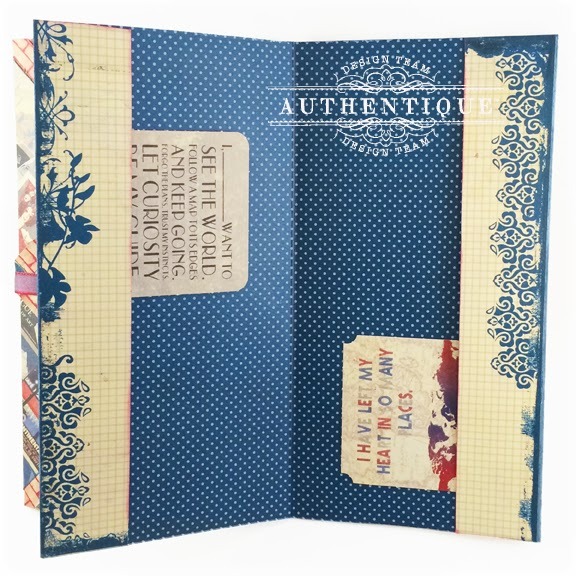 For this layout I've used the 'Promise' collection by Authentique & all the chipboard seen is by Leaky Shed Studio. It's absolutely heartwarming to see history repeat itself now with my son & his grandparents. I seem to have gotten a bit enthusiastic with splashes of color for this page! I played off the blues, greens & oranges from the 'Promise' collection & used a variety of mists and paints to create many streaks, splashes & splatters. I also wanted to show how versatile these collections are. Even though 'Promise' is geared towards Easter, I was able to use it for a completely different theme. All the chipboard was given a bit of texture by applying embossing ink on them and heat embossed with Star Dust Transparent embossing powder. In person, all these chippies have a shimmery & iridescent effect. My journaling is in the form of a quote that I found to express in a few words how I felt about the theme of my page. I printed the quote directly onto one of the 'Promise' papers, cut it out in the form of a tag, punched a hole through it & strung a bit of tulle & created a makeshift tag. What a great quote! I found that I could relate to it & I'm witnessing everything that is stated in this quote first hand. It's fun to get away and escape, whether for the weekend or on a grand adventure. When I know that I'm going on an adventure I like to create a keepsake travel folio for holding maps, ephemera and a place to write notes and take sketches of fun destinations. 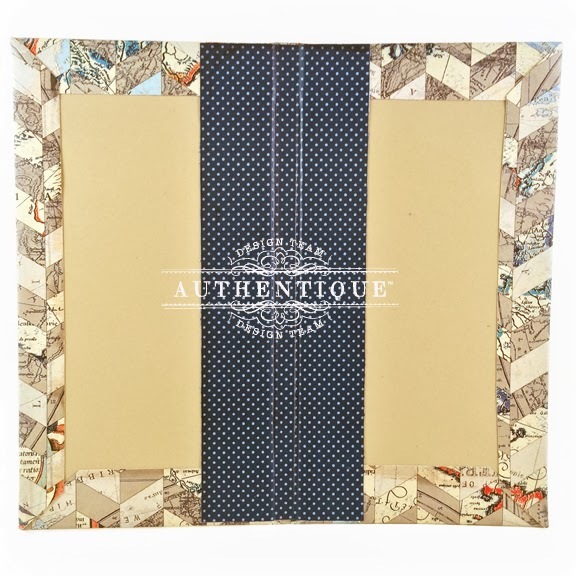 When Authentique Paper released the "Abroad" collection at CHA I was beside myself. Even better is the chipboard embellishments from Leaky Shed Studio that went perfectly with this project! To start this project, cut two pieces of book board to 4-½ x 8-¾ inches. Besides using these pieces for the book cover, it will also be used in making the inside envelope of the travel folio. Making the inside envelope The inside envelope is perfect for holding maps or other large documents from your voyage. Begin by cutting a sheet of "Roam" paper to 10 inches square. 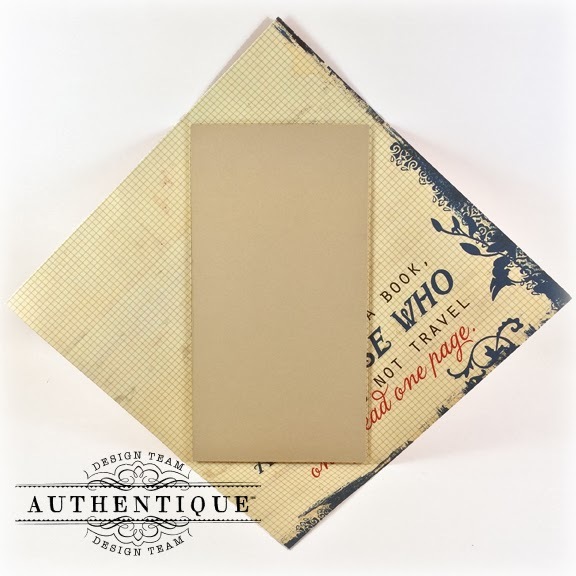 Place the book board piece (as shown) to use as a template for scoring the paper to make the envelope. Trim the excess from the corners of the folds (as shown). Spray the background with irRESISTible Love Letter and allow to dry. Mist the paper with Fireworks Summer Sky. Die cut a pice of the "Touring" paper using the Spellbinders' decorative corner die. Cover this die cut piece completely with VersaMark ink and then heat set with clear embossing powder. Adhere to corner of page. To color the Leaky Shed Studio butterfly, ink with Memento Luxe Love Letter and heat emboss with clear embossing powder. For the outside of the envelope, I layered the "Travel" paper on top of the brick pattern. Next I colored the Leaky Shed Studio key with Memento Luxe Bahama Blue and then het set with clear embossing powder, which will serve as the envelope's closure along with May Arts ribbon. The right hand side of the inside of the book features a folder with pockets on each side when opened. Cut a piece of "Touring" to 8-¾ x 12 inches and score in the middle at 6 inches, and then 1-½ inches from each side to create the pockets. Use adhesive on just the ends of the scored pieces to create the pockets on each end. I also embellished the inside flaps with the border design from the "Roam" paper. 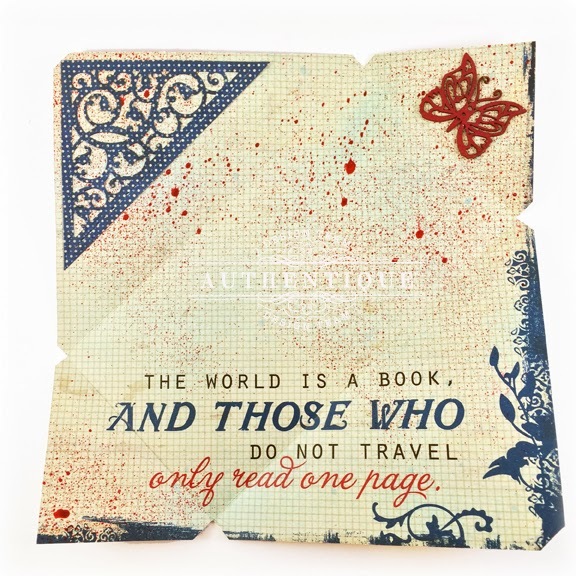 To make the book cover, adhere the two book board pieces onto "Expedition" paper. Miter the corners at a 45 degree angle. Glue sides down onto the inside cover. Cut a piece of "Touring" that measures 3 x 8-¾ inches in size for the inside spine piece and adhere to the inside cover. Adhere the envelope to the inside of the left cover and the folder to the inside of the right cover. 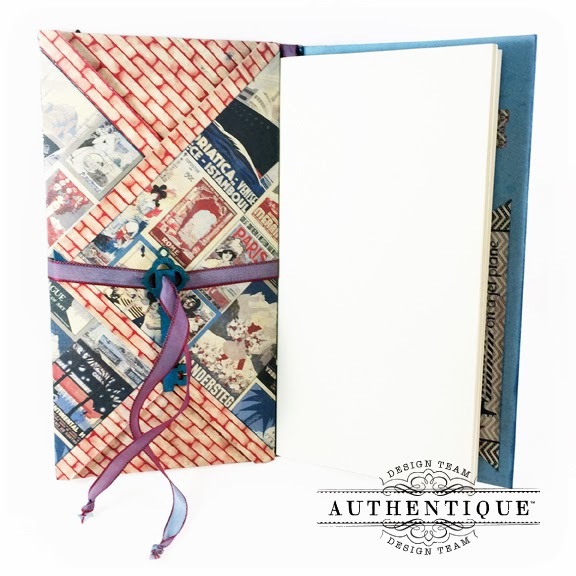 To add journaling pages to your folio, simply fold 8-½ x 11 inch cardstock in half and use a piece of coordinating ribbon wrapped around the spine the pages in place. 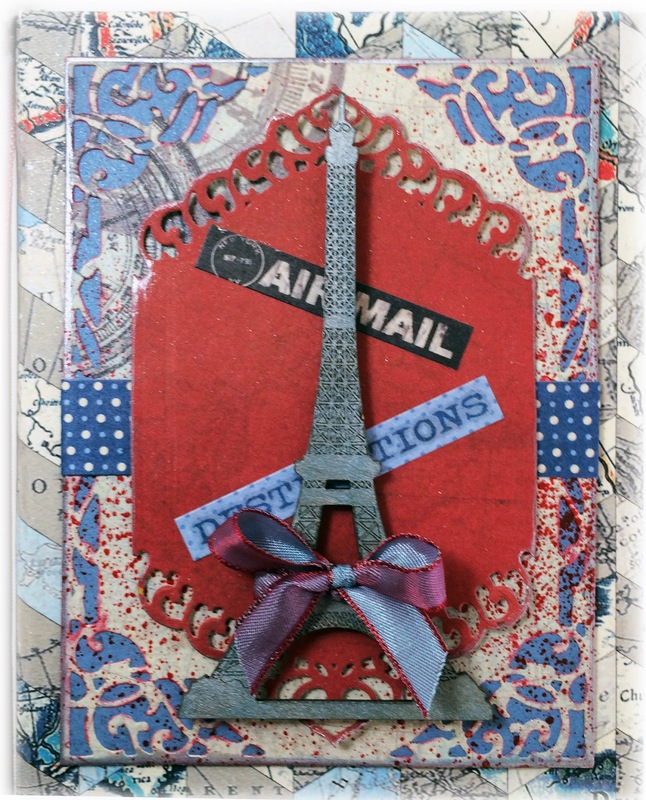 The front cover features a layered die cut from the using a Spellbinders die to create the background beneath the Eiffel Tower from Leaky Shed Studio. I lightly colored the Eiffel Tower with Memento Luxe Bahama Blue and then blended Delicata Silvery Shimmer on top and allowed to air dry. To add more shimmer to the travel folio, I misted the entire book cover with Sparkle Shimmer Spritz. 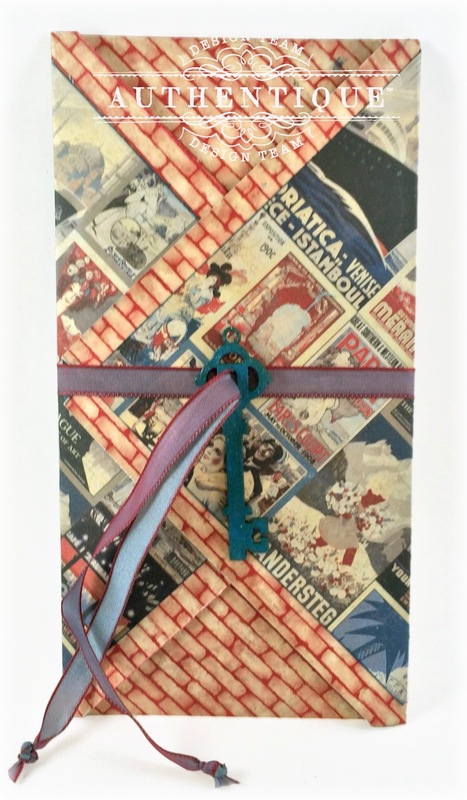 Before adhering the Eiffel Tower onto the book cover with dimensional squares, I added a piece of May Arts ribbon and tied a bow. Hope this inspires you to create your own travel folio for you next adventure! 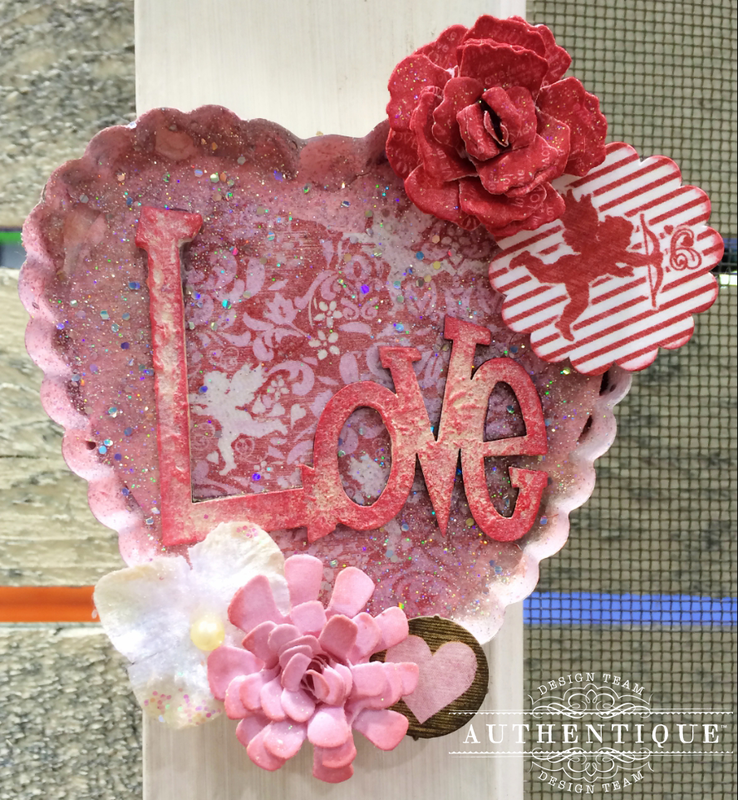 Valentine's Day is right around the corner and Authentique Paper & Leaky Shed Studio are the perfect pair to create cute holiday decor! These little heart tart tins from Maya Road are so adorable. I didn't really know how to approach them, but I decided to dive in and give it a try. First, I added the paper, paint, glitter, and then sprayed them with a pearl glaze. Here's a tip that I learned from DT member Hilary Kanwischer.... To get the glitter to stick- use spray adhesive! It dries a lot faster and your glitter stays in place. be careful, it's very messy! While the tins were drying, I went ahead and painted my chipboard pieces with pink acrylic paint. Once that dried, I lightly inked around the edges. 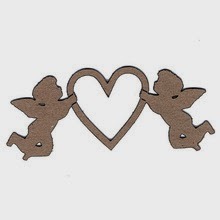 For the Cherubs, I used this chipboard piece from Leaky Shed Studio, I just wanted to be able to fit them on two tins so I cut out the heart. You can find them for purchase HERE. Last, the fun part! Embellishing! I decided to create some of my own little flowers from the "Smitten" 6x6 bundle to pair with some pretty Petaloo flowers. Next, I added some dimensional dots to stickers from the "Smitten" 6x6 bundle. Yes, you read that right! With our "Smitten" collection, we decided to add stickers to the bundle giving you even more bang for your buck! How cool is that?! Here's what the bundle looks like. Look for it in stores now! Thanks for visiting today! Hopefully our fabulous design team has been able to inspire you to pick up some paper & chipboard and create today! Be sure to check back through Friday for more project inspiration! We have an Authentique Prize Pack to give away to one of our lucky commenters (please leave unique comments!) Leaky Shed Studio is also giving away an awesome prize, so don't forget to visit their blog! 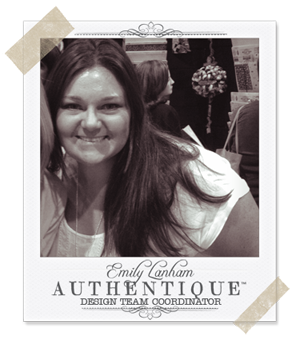 Also, make sure you stop by the Leaky Shed Studio FacebookPage and tell them Authentique Paper sent you! Wow....so much gorgeous inspiration in one place! Amazing projects each and every one! Oh la la, so many fabulous and versatile creations! I especially love Kay's colourful and splendid lay-out! Wish I had seen the travel portfolio months ago. My son just came back from Spain. Leaky Shed products are outstanding. Must get some! Esp loved the Grandparents LO. That quote touched me deeply. I truly enjoyed the tutorials, and I think I need to try some Leaky Shed products. I love the Cherubs, and think they might look cool with some Tim Hotz distress glitter. 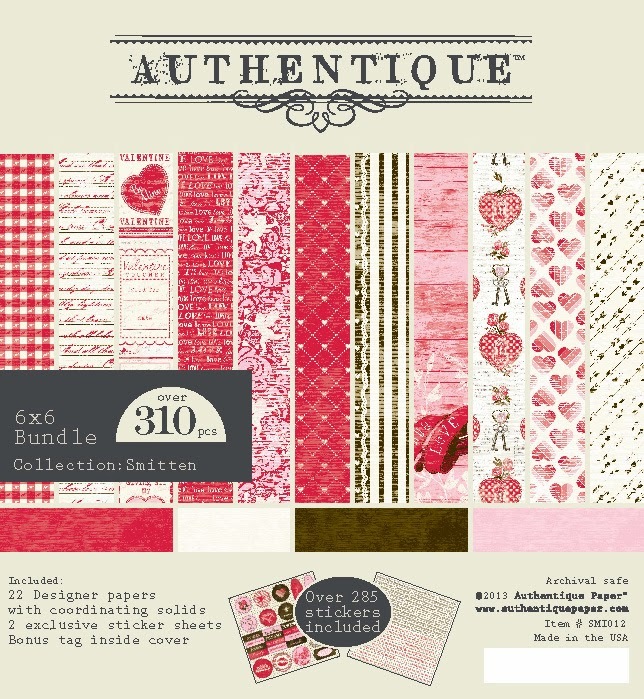 :o) I LOVE Authentique's papers so much!! Thanks for the chance to win. I love the kind-of-bold look of these projects. And thanks for the album tutorial. 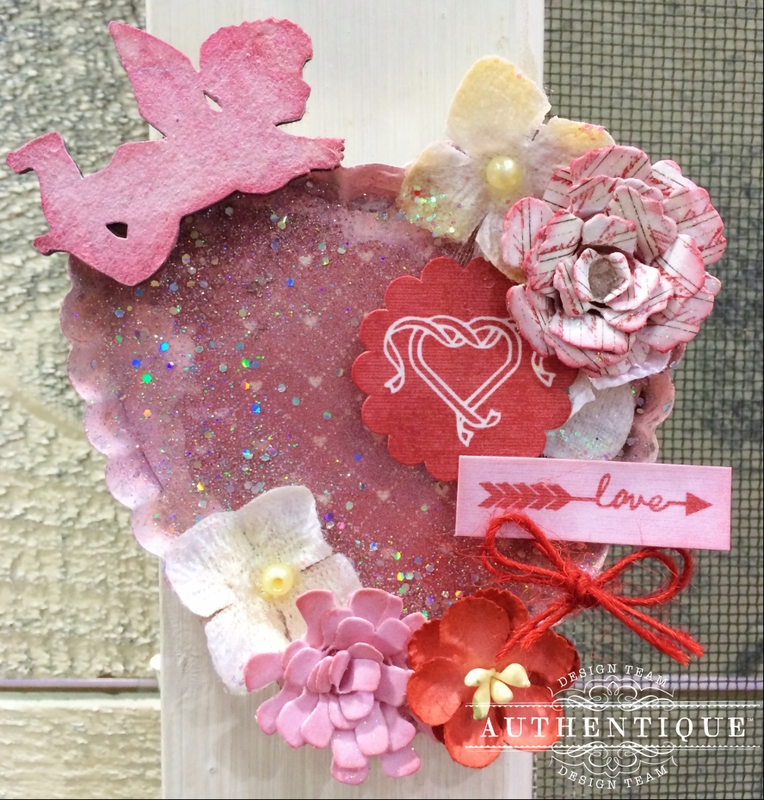 Love the cupids and the fantastic layout with all the layers! 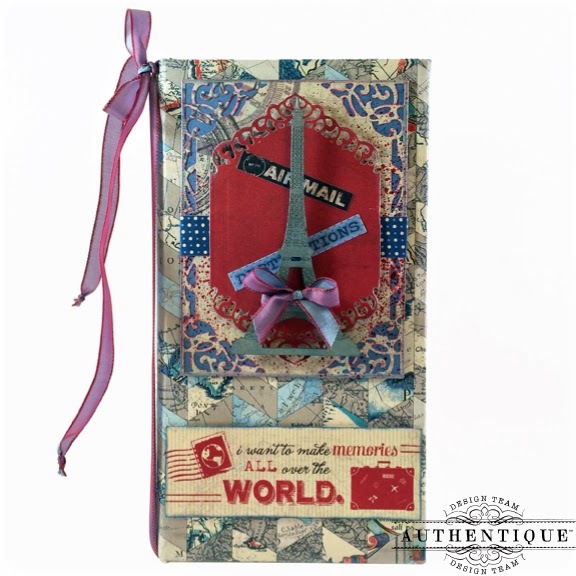 Splendid travel tag and love the fun Grandparents LO! i just love the paper, so colorful, The inspiration is great, thank you so much for sharing!! Awesome....Love how you put each project together and thanks again for the tutorial! 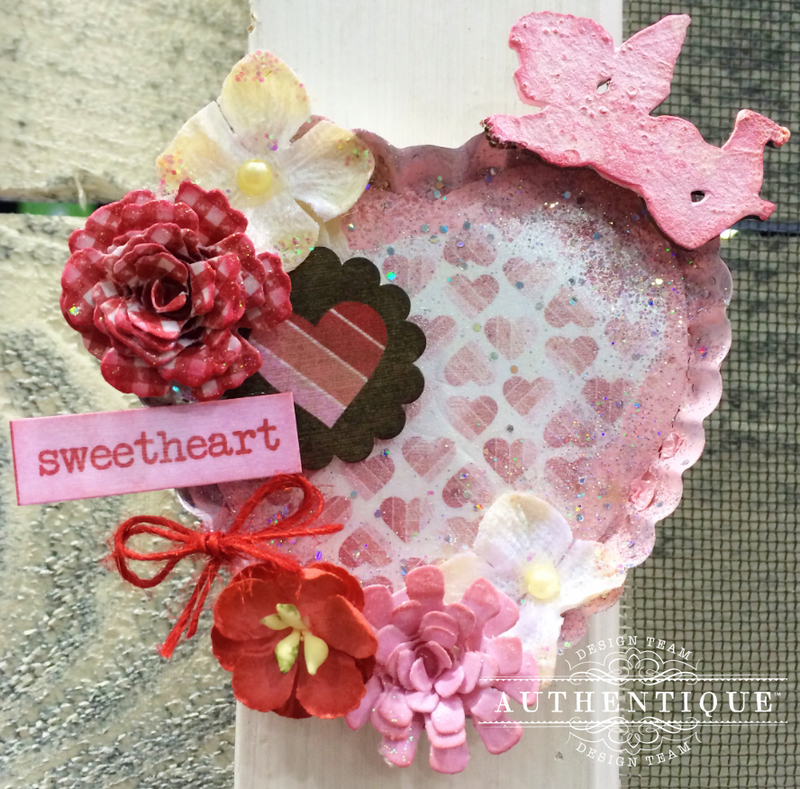 Gorgeous projects here today...the altered heart tin is fabulous! Oh the beautiful heart with the little embellishments is catching my eye. What awesome inspiration. Thank you! I really love these collections. The vibrant colors are so refreshing. The projects combining both Authentique and Leaky Shed are so inspiring. Thank you. Fantastic projects. 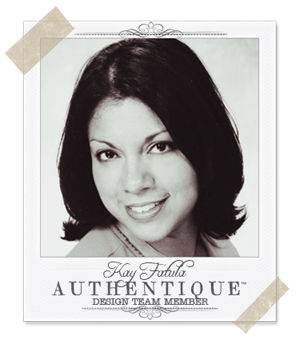 I love Kay's gorgeous layout. Fun projects! I really love all the fun color in that layout. Love the grandparent page. Pinning it for inspiration! Wow, what stunning projects! I love all of the details and layering. Thanks for the inspiration. Thank you for the inspiration! Love each and every project! they are all a DELIGHT to the eye and the heart!!! I feel like I'm on creativity overload, so many amazing projects in one blog post. My absolute favorite is the grandparents one, so many unique details and techniques all together in one layout, so pretty and such a wonderful gift.